Mr. Michael M. Meunier is a 1982 honors graduate of the University of New Orleans, where he received the Marcus Christian Award for the highest G.P.A. in the history curriculum. In 1985, Mr. Meunier graduated from Loyola University School of Law, where he was a member of the Law Review and received the Best Comment Award. Upon graduation from law school, Mr. Meunier clerked for the United States District Court for the Eastern District of Louisiana, Judge Morey L. Sear, from September 1985 to September 1986. Mr. Meunier was then associated with the law firms of Sessions & Fishman and Locke Purnell Rain Harrell in New Orleans, where his practice involved commercial litigation. 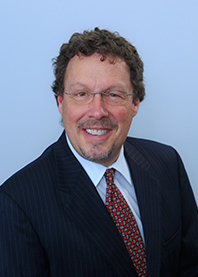 Mr. Meunier joined Sullivan Stolier & Schulze LLC in February 1994 and continues to focus his practice in general commercial litigation and appeals, but now with an emphasis on healthcare. Mr. Meunier has been involved in, tried, mediated and arbitrated various healthcare matters, including breach of contract, Medicare overpayments, physician disputes, anti-kickback, state and federal licensing, fraud, statistical extrapolation, non-competes, and insurance disputes. Mr. Meunier has tried Medicare overpayment cases, on behalf of providers, all over the United States, and achieved significant rulings, including in the area of statistical validity.